About 8 years ago I wrote up a business plan for a place I called “The Healthy House.” It was inspired by my experience as a nurse, educator and coach working primarily in the area of weight management. I had the privilege of working in a variety of settings and with a variety of ages from pediatrics to older adults. In the 18 years that I have worked in this field, I have evolved in my learning. My thoughts about successful weight loss strategies have changed as I have learned from clients and seen patterns of success repeated. 1.The time is not always right. Many times, a client has contacted me and said they are ready to focus on weight loss, but they wouldn’t return after 1-2 sessions. No matter how much I wanted to help them, I couldn’t want it for them. I’ve learned that fear is usually behind this delay in action. They made the initial contact, told their story. They want it, but fear is holding them back from action. Now, I know that this is a very important step. It’s a golden part of their journey to work through this fear to the place that they want the outcome more than they fear the action. Now, I applaud them for taking the time to work through that fear. I hold space for them to do that and let them know I am here to support them in action when the time is right. (After all, it took me 8 years to open my own business). 2. Come broken, but believing. The clients who have come in the past with a great history of calorie counting and a love/hate relationship with exercise are the most dangerous. Their focus has been and will continue to be on the external. Weight loss is not about the calories. Those who come tired of being hard on themselves, craving more joy in their life, open to share their struggles and aware of their self-critic are golden. They are ready to see the patterns of behavior that are connected to their critical feelings. They are also willing to allow those feelings to come, take responsibility for them, de-identify with them (you are not your feelings) and believe in the possibility of a better outcome. 3. Love, not judgement, is the answer to weight loss. Weight is just a layer of protection around the body and soul. It’s there to protect us from our own self judgement and the judgement of others. We fear we aren’t enough. Then we project those feelings on to other people, believing that we are not good enough in their eyes. We are living in a cycle of judgment based on fear. The answer is to love yourself. Know that you are worthy of love and act lovingly to yourself first. Treat yourself like you would a small child. Encouraging and supporting each decision and each mistake. Then you can have the strength to love others. You can put away your fear of judgment when you are able to stop judging others. Keep answering every fear with love. Love breaks down walls. 4. Work everything from the inside out. I believe Pilates is a metaphor for life. In pilates we work on the core stabilizer muscles first. These are the ones closest to the bones that support our structure and contract at a low intensity. Once we get them working optimally, we can move out to the more superficial muscles and to the periphery (arms and legs). You have to use your mind to connect with these muscles and encourage them to engage. So, it is with life. Work on the inside first. Take time, connect to your soul and get stronger there first before you expect more of yourself. That time you spend introspectively builds and prepares you to handle the outside world. Few people understand this from the fitness side. The focus is on getting more steps, lifting more weight, more “pain is gain.” Strengthen your core. The rest will come. Even fewer understand this from a life perspective. Strengthen your core. The rest will come. There is an incredible power in knowing you are not alone. There is a rule in coaching which states “The coach is not the expert! !” The client is the expert. Our job is to help them find their own wisdom and begin to listen to it. The feeling of strength and liberation takes over when someone whispers- “I believe in you- you have what it takes!! !” Then, they believe in themselves. Better yet, I have been moved to tears on many occasions as I have sat with my groups and they have listened to and supported each other through their struggles. It is SO beautiful and so powerful as they allow each other to cry and extend compassion to each other for the shared experience of pain in life. We can’t remove pain, but we can go through it together, stronger. These are just a few items that I have learned through the years. I am blessed to learn from so many amazing teachers each day as they share their struggles and triumphs with me. I hope that I will continue to learn from their wisdom and share it with others, knowing that as the ripple rolls out, more people can be truly inspired to change for the better. Experts say that one of the best ways to teach yourself self-compassion is to first bring up feelings that you have for another whom you love. There is no one easier to love than an innocent child. I have been blessed with a beautiful grand daughter. So I began to think of things I hope for her. I hope that you continue to live your life fearlessly. I hope that you always walk boldly toward what you want, knowing that those who love you will be following right behind. I hope that you reach for things expecting to grab them on your first try. I hope that your determination continues to amaze others. I hope that your presence brings a smile to the face of all those who are watching you. I hope you continue to go though each day, trusting that everything you need will be there for you and never worrying that it won’t. I hope you continue to trust others without fear of disappointment. I hope that you learn something new every day. I hope that you always remember how much you are loved. I hope you realize how much your life has touched others. I hope that you always dance to the music in your heart, no matter who is around. I hope you continue to sing “Let it go” at the top of your lungs. So, then I turned these thoughts of love and compassion around on myself. walk boldly toward what you want, knowing that those who love you will be following right behind. reach for things expecting to grab them on your first try. amaze others with your determination. (your) presence bring smiles to the faces of those who are watching you. go though each day, trusting that everything you need will be there for you and never worrying that it won’t. trust others without fear of disappointment. always remember how much you are loved. realize how much your life has touched others. always dance to the music in your heart, no matter who is around. continue to sing “Let it go” at the top of your lungs. This is how you turn your compassion for others into self-compassion. Perhaps we can all learn to love ourselves better by loving others. It was a two lane road and 4 hour ride to get me to the place I never lived, but always belonged. Two left turns off the exit brought us to the street named after them, “Houston Drive”. I remember picking green beans from the garden, the sound of gravel under our bicycle tires as we rode up and down the street and the camper parked out front that served as our playhouse. The door was never locked and the house was always full. It was one of my favorite places in the world. There was nothing expensive under that roof, but there was a priceless treasure every human being seeks. Belonging. Throughout my entire 43 years, I always knew that in this place I was welcomed and loved unconditionally. It was a place I could go just to be. A place for a hug, advice or support. A place where I was reminded that life is a series of changing seasons and I only needed to grow into a better person through the lessons life taught me. A place with a revolving door of family members moving through at any given time and reminding me that I was part of something bigger. I belonged. The feeling of belonging is a gift and the absence is a tragedy. Connection to others makes an imprint on our hearts and souls and disconnection can break them. As Brene Brown wrote in The Gifts of Imperfection, “A deep sense of love and belonging is an irreducible need of all women, men, and children. We are biologically, cognitively, physically, and spiritually wired to love, to be loved, and to belong. When those needs are not met, we don’t function as we were meant to. We break”. My grandmother gave me the gift of belonging from the day I was born. She made each one of us feel special and loved. She did it through her words, her actions and through her faith. She created and environment of comfort, a spirit of welcoming and a mission of acceptance. Her home was an open door, a lively sitting area, a table of food and a freezer full of ice cream. Her presence was balm to any wound and her hugs were a sense of peace. Throug my career, I’ve seen the pain in the eyes of others who have lacked a powerful sense of belonging throughout their lives. I’ve seen the brokenness first hand, and the wounds that are left to heal. It’s a terrible thing to overcome once it occurs. It breaks my heart and calls me to my purpose. As I more fully understand my Grandmother’s role in my life, I’m challenged to follow her example as my mission. Perhaps the greatest gift I can give to others is a sense of love and belonging. A place where they are accepted as they are, flaws and all. A place where they are always welcomed at the door. A place to be a part of something bigger. A safe place to go to get away from the world. So as we open the doors to our new business this week, my goal each day will be for this place to hold the qualities of my Grandma’s house. Whatever you do, please don’t resolve to lose weight this year! The New Year rolls around with the promise of a fresh palate to start with. As the holidays come to a close, now it’s time to “get serious” about losing weight in the coming year. This year, I challenge you to make your resolution different. 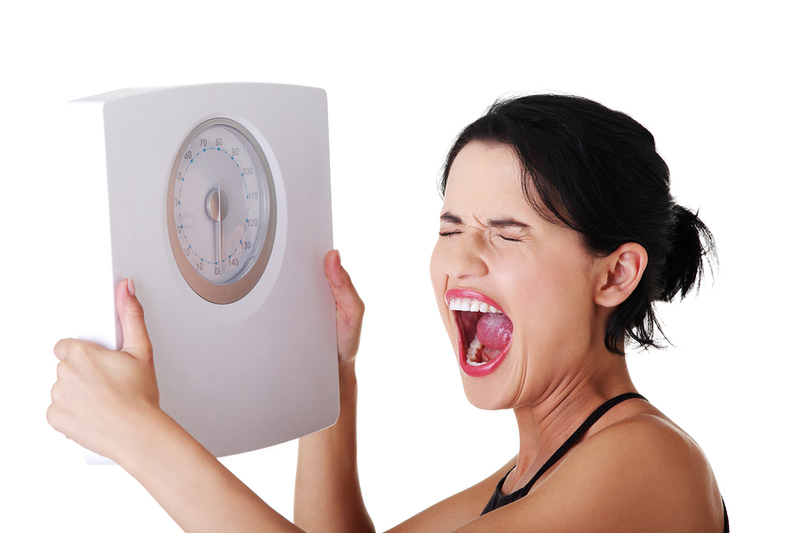 The traditional behaviors that go along with vowing to lose weight are ones of self deprivation and punishment. You promise yourself you will eat less and exercise more. You will work out 5 days a week- hitting that treadmill, elliptical, bike or whatever dreaded piece of cardio equipment you have resigned yourself to until the sun comes back out again. You will restrict your portion sizes and stay away from fat, sugar, salt and fast food and you will eat more fruits and vegetables. I’m not saying these methods won’t work. I’m just saying they typically DON’T work. Because there is so much more to it. If it was that easy, this wouldn’t be a yearly ritual for so many people. So this year, I’d like to toss out 7 different resolution ideas. Ones that ultimately will result in weight loss, but might not be the strategies you planned. 2- Take 10-20 minutes a day to sit quietly and breathe deeply. Allow yourself some space and some peace from the hustle and bustle of everyday life. Deep breathing allows your Parasympathetic Nervous System (PNS) to take the lead. This is our “rest and digest” system. As opposed to the Sympathetic Nervous System (SNS) which is the “fight or flight” and is usually in control. This is the difference between the brake and the gas. We need to use the brake pedal more often. In fact, new research is suggesting that the best measure of physical and emotional health may be which branch of the nervous system retains more control. 5- Eat mindfully. Don’t eat anything unless you can look at in on a plate in front of you. Look at it, smell it, feel it, taste it. When you take time to notice your food, it sends signals to your brain that you have eaten and leaves you more satisfied. When you eat on the run, out of a box or a bag, your mind doesn’t get these signals and so you eat more. 6- Make your cardio count. Long bouts of cardio can be good for meditation but they don’t change the way your body burns calories or looks. Intervals of high intensity produce far better results. Instead of doing over 30 minutes on any one piece of cardio equipment at a moderate intensity- cut that time in half by doing some high intensity intervals in between. This changes how your body uses energy resulting in increased fat burning and changes in body composition (more hungry muscle cells). 7- Increase your self-compassion. Listen to the language you use when you talk to yourself. Is it critical? Self-criticism is consistently associated with less motivation and worse self-control. It’s forgiveness, not guilt that increases accountability. Write out affirmations of your worth and read them every day. Talk to yourself as you would talk to an infant. Acknowledge that life is hard and forgive yourself for your imperfections. So if you want to lose weight in the coming year, go about it a little differently. No one likes self-deprivation or punishment, but we do like to improve our knowledge and skills. Choose something that will change you. What do you have to lose? You may find even more benefits than weight loss and learn that you can solve a problem with an extraordinary solution. I’ve been working with patients in health care and clients in corporate wellness settings for 15 years around the issue of weight loss. I’ve written and delivered 5 weight management programs. I will feel better, more comfortable. I’ll be proud that I finally won this battle. I will be more confident and feel like I can take on other battles. I’ll feel more accepted and connected. People will notice me. I will find more friends or a significant other. I’ll be more fulfilled, joyful, happy. I’ll win the respect of others. People will approve of me. I heard what they were saying. I felt and shared their pain. It went beyond the numbers on a scale. Although the words differed from person to person, it was the same for everyone. In fact, it was regardless of weight. These were the same desires of everyone I coached. As humans, we crave more positive emotions. We are looking for confidence, fulfillment, purpose, pride, happiness, safety, connection, love. We want less worry, overwhelm, anxiety, sadness, frustration, irritability, anger, fatigue. We want changes in our LIFE! Eventually, I began to learn more about how our mind and emotions effect our health. The fields of neuroscience and positive psychology have unraveled some of the biggest frustrations around weight loss. It turns out that our mind and our heart play a very big role. We’ve been focusing on the wrong things!! In order to make progress we can’t start by jumping into big changes with diet and exercise. So this is why I have gone out on my own to create a program that works. I can teach you how to eat healthy and exercise, it might change your body, but that won’t change your life! Cohesion- Creating cohesion between the mind, heart and body. Understanding how our minds are designed to protect us and facilitate survival and often that means with instant gratification. Creating a bridge between the conscious mind and the sub conscious mind to achieve long term rewards. Connecting to the wisdom of our hearts. Our hearts are genuine and crave to be heard, but we often override that “touchy feely” organ because we can’t afford to baby it in today’s world. And finally understanding how the body is effected by both the heart and the mind. That many health issues arise from in-cohesiveness. Compassion- Learning that forgiveness, not guilt increases accountability and that self-compassion is very different from self-indulgence. Realizing that self-care isn’t selfish. Accepting with compassion that over committing ourselves is in response to our need to feel valued, but often occurs at our body’s expense. Spending more time in positive emotions and learning how to purposely cultivate them, because it won’t happen otherwise. Composition- Leaning that the difference between weight loss and changing body composition. Understanding that skinny= vulnerable and fit= strong. Reaching the point that eating healthy food and exercise are an expression of self love, not torture. Are you ready to find some extraordinary solutions that will not only change your body, but also change your life, and the lives of those around you? If I had started my business in my younger years, I have to believe that it would look very different than it does today. When I was younger, it would have been all about helping people look good. After all, that’s what most people want- they want to look good because THEN (and only then) they will be able to feel good. But, after hours and hours of sitting with people, I learned more than I ever could of imagined. From the woman who spent 6 years caring for her terminally ill child, I realized that we can learn how to live with uncertainty. When we can’t control whether our child lives or dies, we need to count our blessings every day and be present in each possible moment. From the man who’s wife left him to raise their 3 children alone, I learned that we can allow ourselves to vulnerable and ask for help. We don’t have to do it all or be it all for everyone- never letting our weakness or fear show. From the woman who’s husband died suddenly when they were at the prime of their life, I learned that we can find our value outside of our circumstances. We are worthy of love no matter who is loving us at the time. From the young girl who just wants to find the man of her dreams and settle down, I learned that loving yourself is the key to opening your heart to love and be loved by others. And from the woman after a double mastectomy, facing the insecurity of her cancer, I learned that feeling whole is a journey to the inside- to yourself. And you may not have the opportunity to take that journey if you are always living outside of yourself. So although I know that promising pounds of weight loss and unleashing the best kept secrets of exercise are the things that can really sell for a business, I think I will stand my ground and stick to passing on the lessons that life has taught me. The keys to working on the inside- to develop your (unshakable) strong core. Increased energy to live your life fully and be present for those micro-moments of joy. Besides, chances are that there is already someone in your life who thinks that you are so much more than a hot body. Someone who thinks you are wonderful inside and out. What I promise is to help give you the ability to start believing them! Is there a little voice inside your head saying, “There’s got to be something more!” Are there are things you don’t like about your circumstances? Are there things you know you want, but haven’t yet attained? If so, your first instinct might be to feel frustrated. You might be thinking, “things aren’t working, I don’t like this, something has to change.” Our instinct is to be angry or upset that things aren’t working. But in order to want to go somewhere, something has to happen to make us what to leave where we are. Once you are past frustration, you can begin to look at change as an opportunity. Many of us are just surviving- not thriving. Maybe it’s time for you to thrive! A little seed has been planted within you, to make you desire MORE from life. It’s just waiting for you to cultivate that seed. Tend to to. Make it thrive. Click on the link below and check out this great video to open your mind to the possibilities that lie within you! It’s up to you!